Sawasdee Thai "We don’t serve fast food, we serve freshly prepared food as fast as we can"
Thai cuisine is more accurately described as four regional cuisines corresponding to the four main regions of the country: Northern, Northeastern (or Isan), Central, and Southern, each cuisine sharing similar foods or foods derived from those of neighboring countries and regions: Burma to the northwest, the Chinese province of Yunnan and Laos to the north, Vietnam and Cambodia to the east, Indonesia and Malaysia to the south of Thailand. 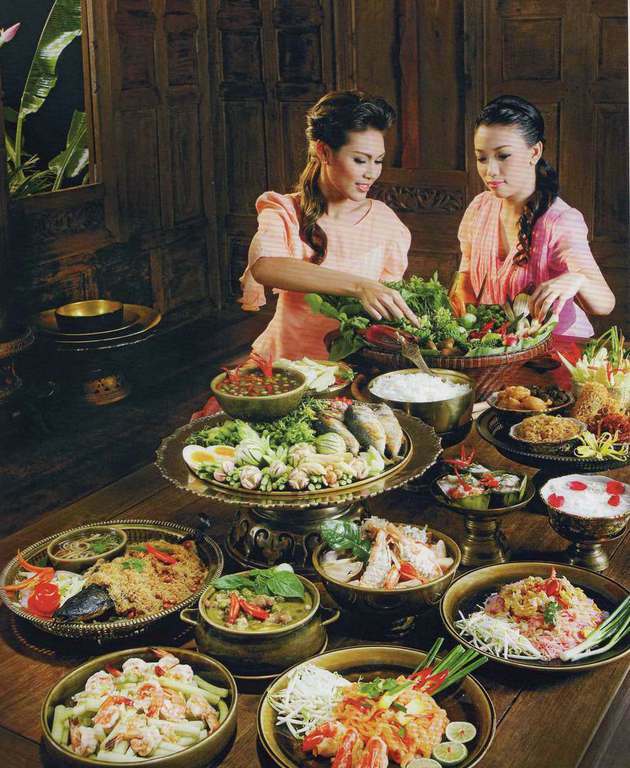 In addition to these four regional cuisines, there is also the Thai Royal Cuisine which can trace its history back to the cosmopolitan palace cuisine of the Ayutthaya kingdom (1351–1767 CE). Its refinement, cooking techniques and use of ingredients were of great influence to the cuisine of the Central Thai plains. Western influences from the 17th century CE onwards have also led to dishes such as foi thong and sangkhaya. 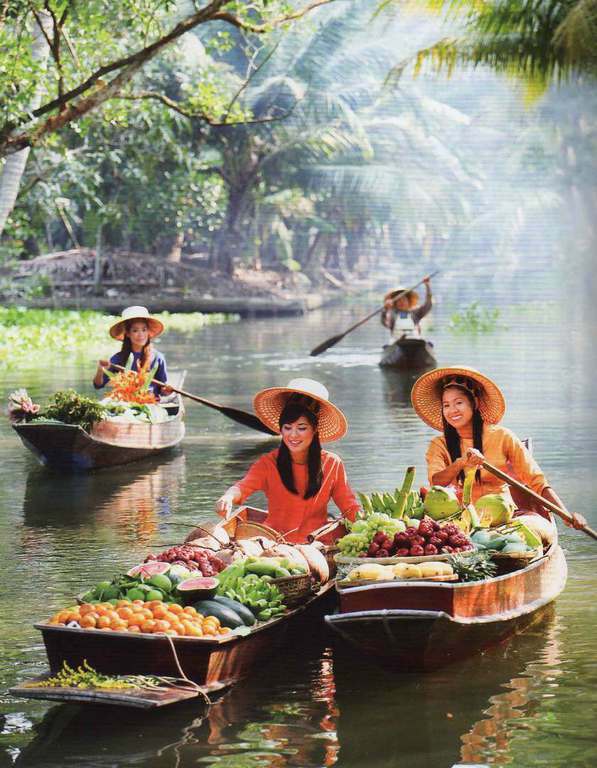 Thai cuisine and the culinary traditions and cuisines of Thailand's neighbours have mutually influenced one another over the course of many centuries. Regional variations tend to correlate to neighbouring states (often sharing the same cultural background and ethnicity on both sides of the border) as well as climate and geography. Southern Thai food tend to contain liberal amounts of coconut milk and fresh turmeric, while north-eastern dishes often include lime juice and ground toasted rice grains. The cuisine of North-eastern (or Isan) Thailand is similar to southern Lao cuisine whereas northern Thai cuisine shares many dishes with northern Lao cuisine and the cuisine of Shan state in Burma. Many popular dishes eaten in Thailand were originally Chinese dishes which were introduced to Thailand mainly by the Teochew people who make up the majority of the Thai Chinese. Such dishes include chok (rice porridge), salapao (steamed buns), kuai-tiao rat na (fried rice-noodles) and khao kha mu (stewed pork with rice). The Chinese also introduced the use of a wok for cooking, the technique of deep-frying and stir-frying dishes, and noodles, oyster sauce and soybean products. 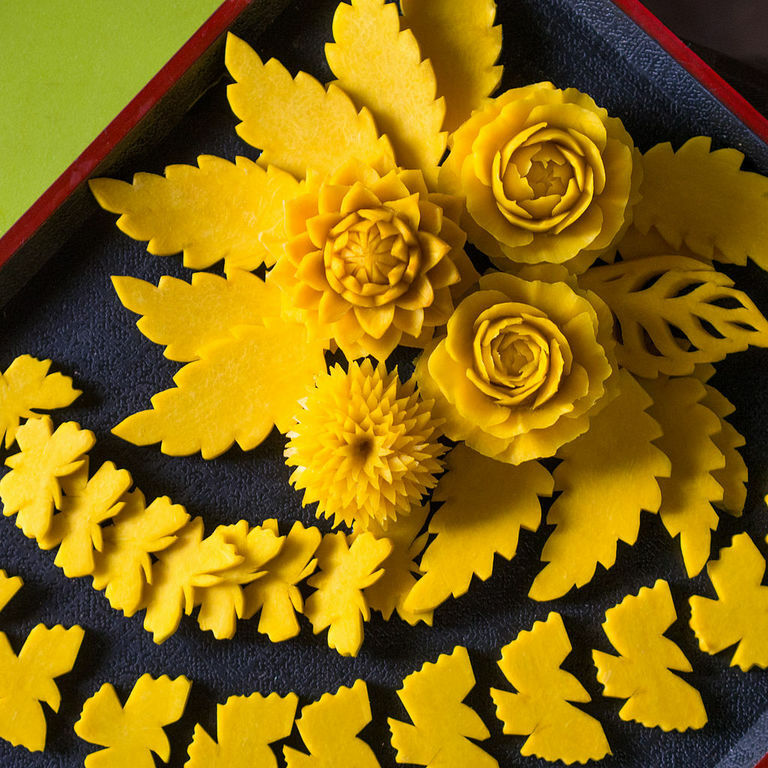 Dishes such as kaeng kari (yellow curry) and kaeng matsaman (massaman curry) are Thai adaptations of dishes originating in the cuisine of India and the cuisine of Persia. 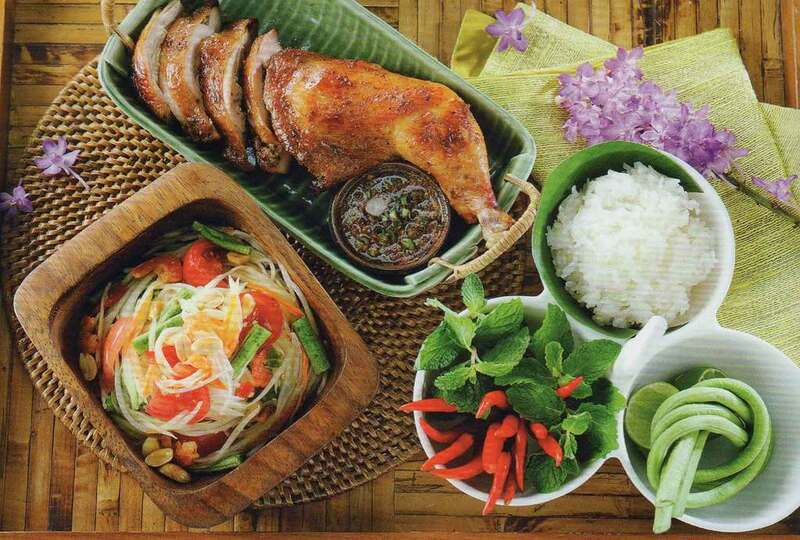 Thai cuisine, as a whole, features many different ingredients and ways of preparing food. Thai food is known for its enthusiastic use of fresh (rather than dried) herbs and spices. 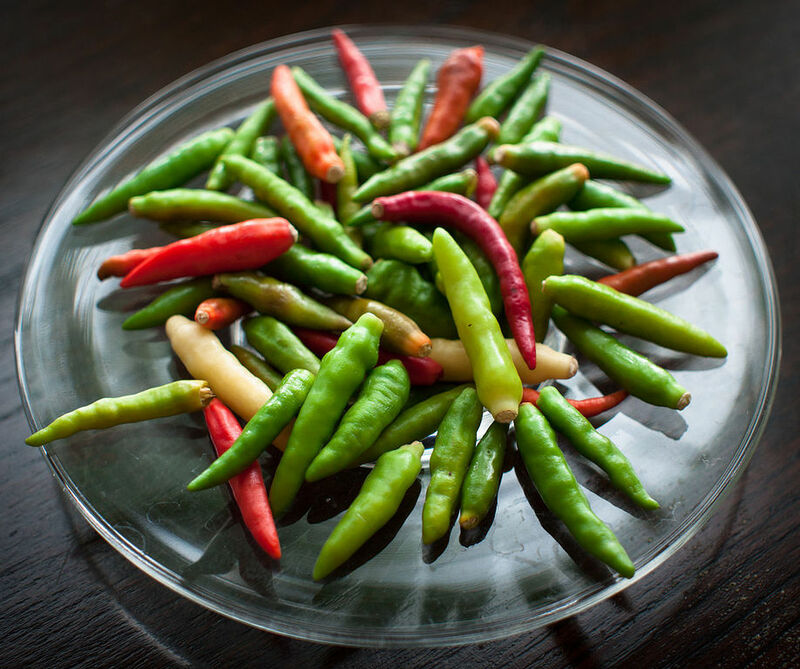 Common flavours in Thai food come from garlic, galangal, coriander, shallots, pepper, kaffir lime and, of course, chilies. Palm sugar, made from the sap of certain Borassus palms, is used to sweeten dishes while lime and tamarind contribute sour notes. From the coconut palm comes coconut milk and coconut vinegar. The juice of a green coconut can be served as a drink and the young flesh can be eaten. 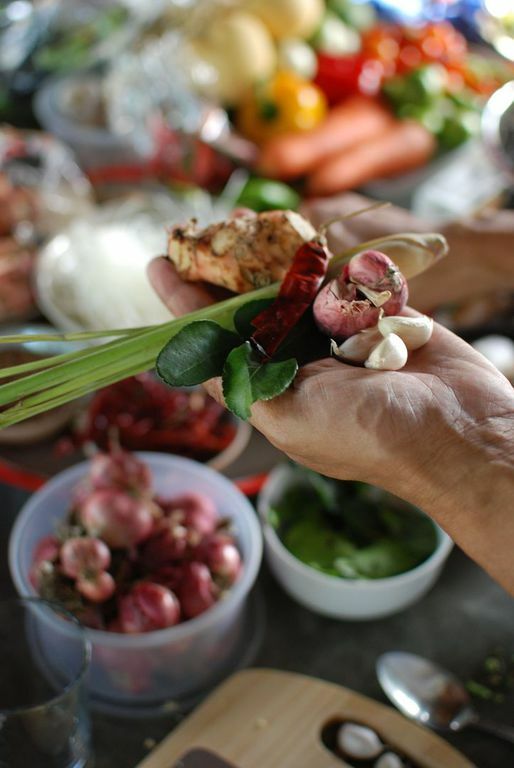 Thai cooking places emphasis on lightly prepared dishes with strong aromatic components and a spicy edge. It known for its complex interplay of at least three and up to four or five fundamental taste senses in each dish or the overall meal: sour, sweet, salty, bitter and spicy. New updates has been added to our Menu, please take a closer look at Menu or What's New Secetion. Please (if you can) book with us for Friday or Saturday evening. Closing on Sunday 2nd July and 13th August.